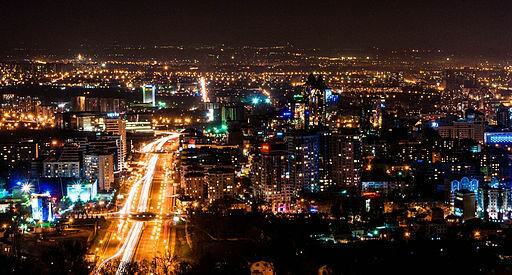 Almaty is a spectacular city. The instant we arrived there, we knew we’d have a great time. 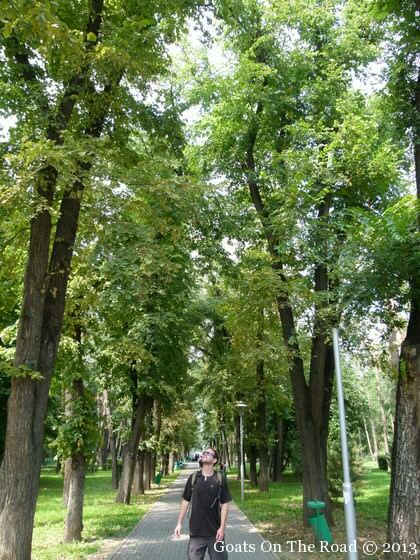 It’s a university town with lots of young people and it’s apparent that there’s some oil money in this city as well. Nice buildings are everywhere, nice cars cruise along the streets, the people are very nicely dressed and, well, nice! We took our time here and decided to not really make any plans for our days. We knew there were a few key sights that we really wanted to see, but we also spent some time just wandering around aimlessly. 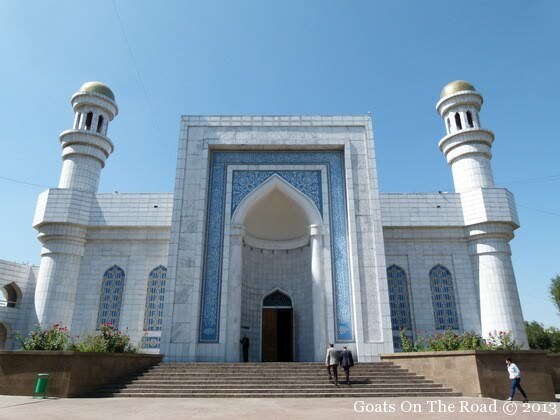 Gorgeous Central Mosque…ladies, don’t forget to cover up! 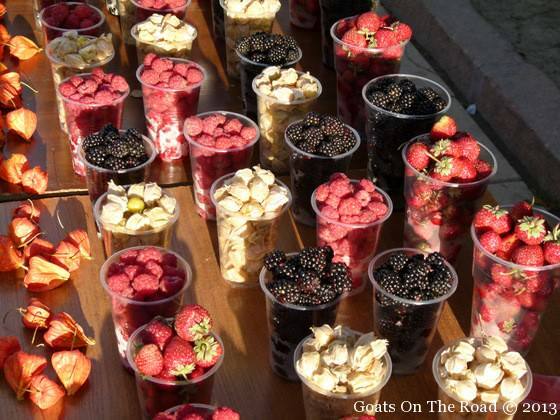 There are so many things to do in this chilled out city, we couldn’t name them all. 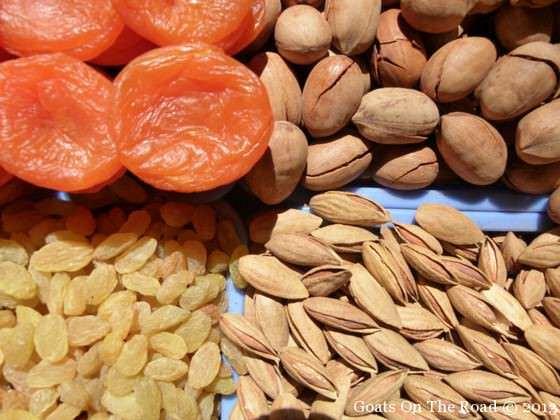 An extra thing to do (#11) is to just meander around, mingling with the local people and indulging in the fresh seasonal fruits and local food! 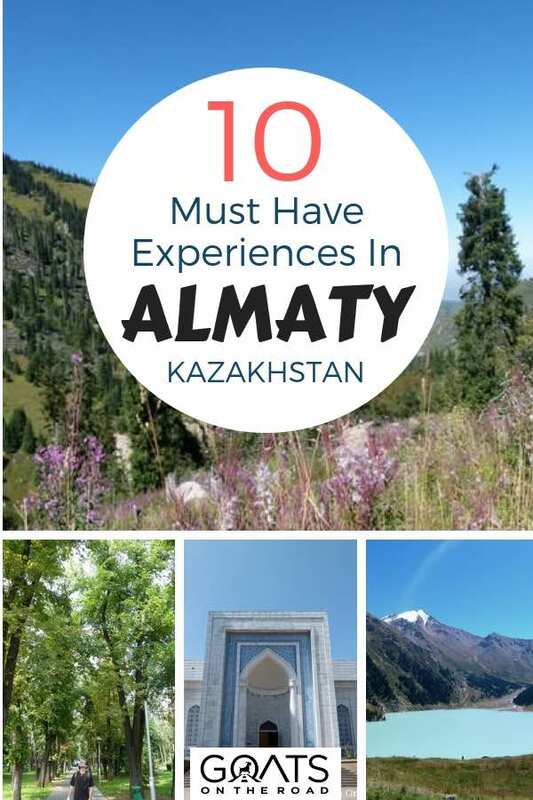 Enjoy your stay in Almaty, we sure did. 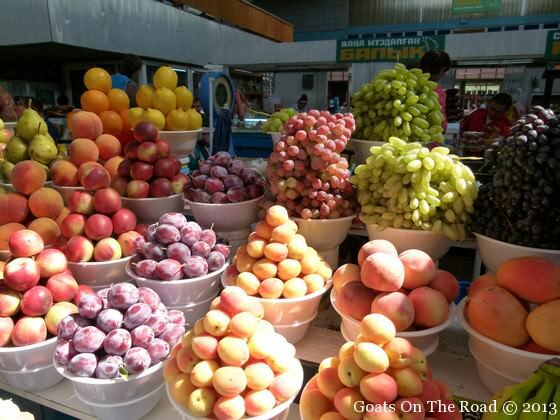 Make sure to enjoy the fresh, seasonal fruits in Almaty! 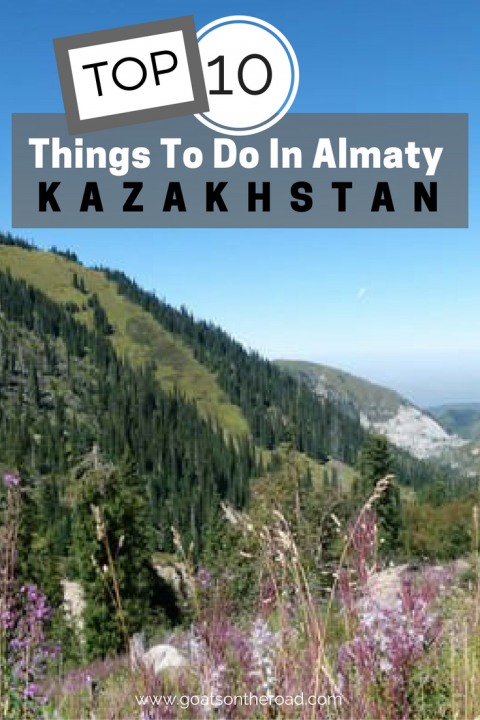 Have you been to Almaty before? Did we miss anything? Let us know below! 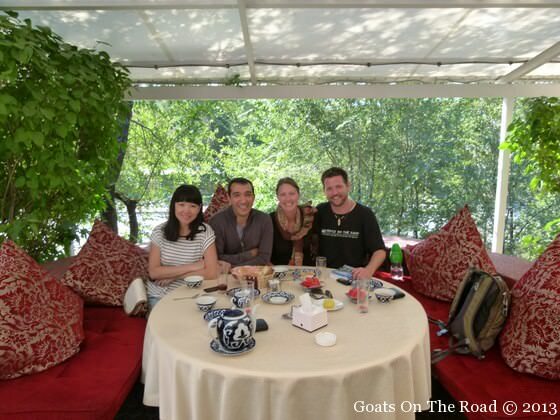 Almaty To Bishkek: Goodbye Kazakhstan, Hello Kyrgyzstan! We felt the same way when we left China and set off into the countryside in Mongolia, it’s nice to get out of the cities and away from the traffic! Big Almaty Lake is stunning. Hey guys! 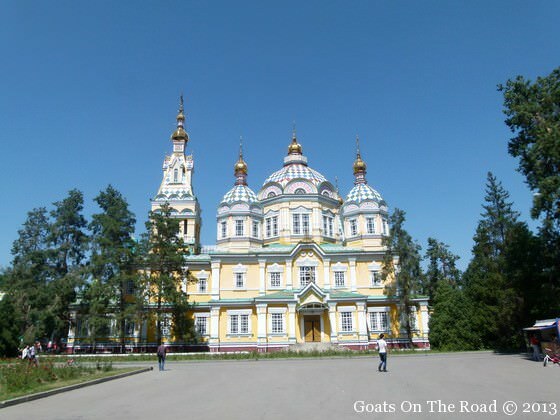 One question as we are planning to visit Almaty in may/june. 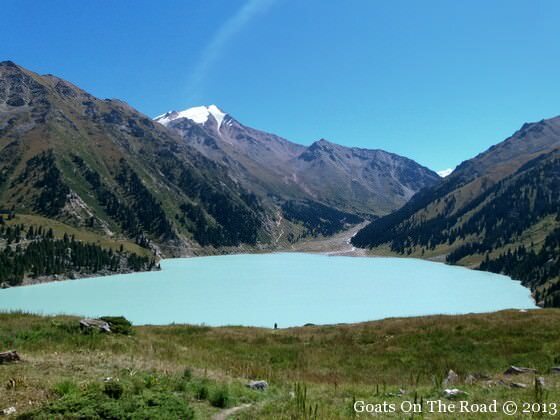 Big Almaty Lake is a trekking that takes 15 kms to go and another 15 kms to return, is it possible to do it in one day if we take the first bus to the park entrance? Is it too difficult? All this talk of buses and taxis. I was a fan of the limp wristed hitch hiking flagging down random vehicles to get around the city. Also the subway is real new and like an underground museum. This city really has its own heart beat. The nightlife is real good. They have full on Japanese style karaoke bars which was very fun. Also the Donytsk Plaza is like the Rodeo drive like shopping mall. 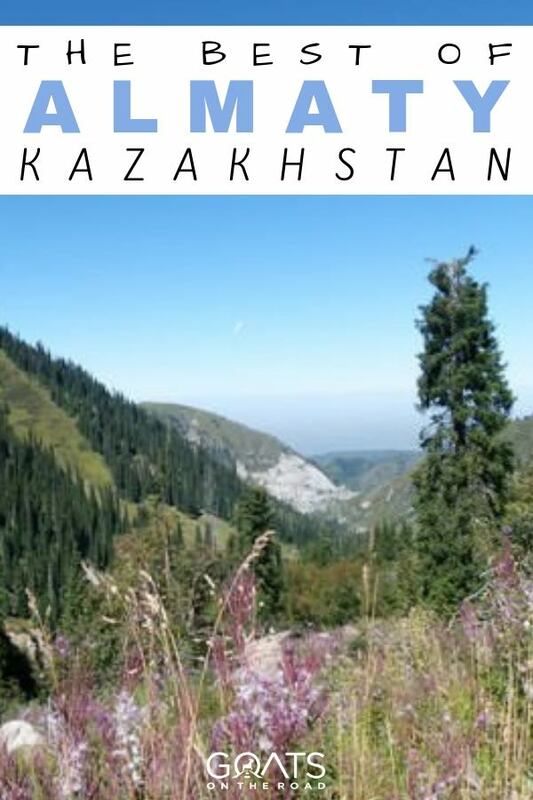 I’m not typically a mall guy, but I enjoyed going to malls in KZ because 1) their malls are actually pretty over the top and 2) it broke stereotype of being some eagle, horse and sheep place. 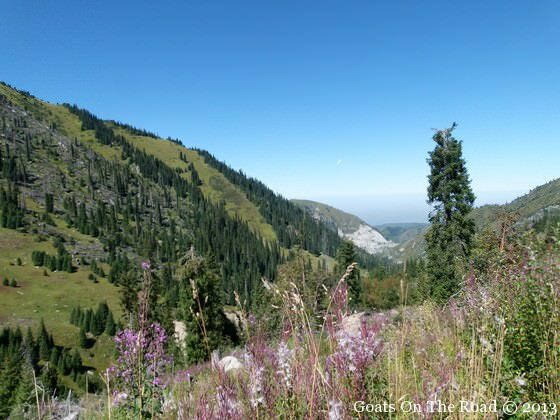 i am planning to visit Almaty on 1st of May 2016 and to stay for almost a week, please if you can advise if the the weather will be suitable for hiking activities or not? Just a warning about hiking at the lake….don’t go too close to the lake itself unless you want told off by the police. Since it is a reservoir they don’t like people by the shore. 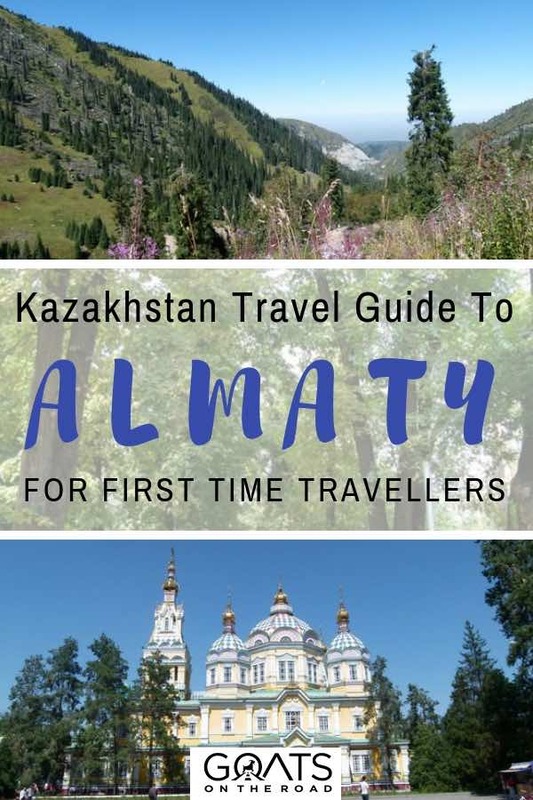 Also one of the paths leads to Kyrgyzstan but is not an official border crossing so take your passport with you and be prepared to be turned back if police or soldiers tell you to. They were very polite to me and the lake is worth a visit, just giving some advice! Wow, it is so good of useful information. I would to pack my bags to visit this places.